Keep up with special events sponsoring us or sponsored by us. ​We host dynamic belly dance workshops with our own and/or guest instructors as well as performances by our instructors and students. 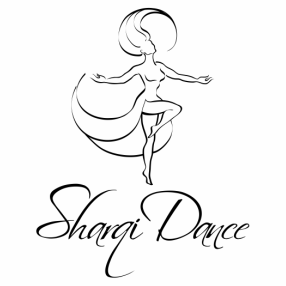 Spring Into Dance, SharqiDance's 4th Annual event. This year we will be hosting the amazing superstar Shahrzad for a 3-hour workshop and a Gala show. Promenade of Mermaids, we will entertaining the attendees of the Asbury Park Promenade of Mermaids with a mermaid-themed belly dance performance. This event is free and attended by thousands of people at the Asbury Park boardwalk. Dress up as a mermaid and come check us out! Roxy & Dukes Workshop Panel, SharqiDance instructor Yame will be one of the panelists discussing Etiquette, Stage Fright, and Negativity at the workshop for the Roxy & Dukes annual Belly Dance Student Showcase. Come hear about and discuss these important topics with us! Roxy & Dukes Student Showcase, our students will be performing at the Roxy & Dukes annual Belly Dance Student Show. Come see us and other belly dance students from all over the state show us what they've been working on! Soulsational Festival, we will be teaching and performing at Soulsational Festival. Come learn some basic belly dancing and watch us perform at this wonderful event! If you can't get enough of our events, come join one of our regular classes! We offer weekly group classes in person, weekly online classes, and private classes both in-person and online, at your own convenience.